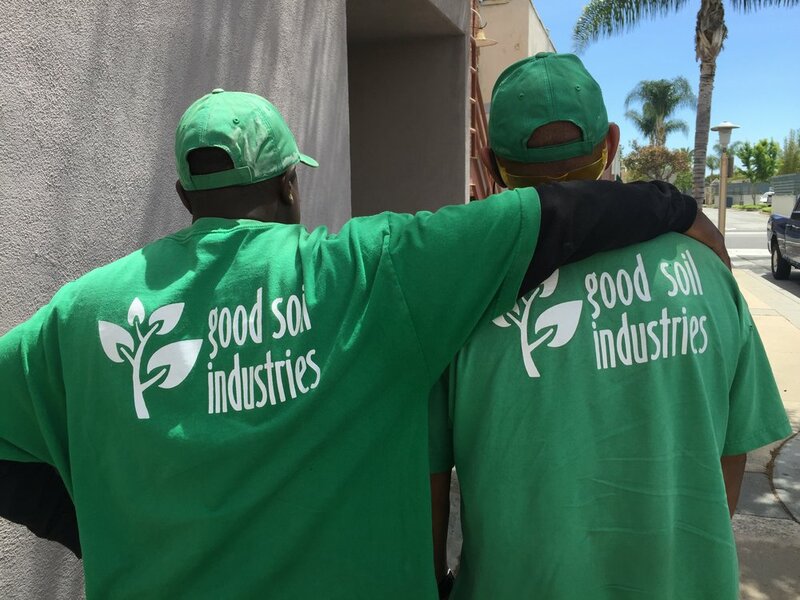 Good Soil Industries (GSI) is a social enterprise that helps men with employment barriers work their way out of poverty. Local residents receive job acquisition and retention training, goal setting and accountability, financial planning, and life coaching. GSI employs hard-to-hire neighbors, in hopes of systematically reducing homelessness and dependency on financial assistance. Participants receive transitional job opportunities lasting between 3 and 6 months through GSI Landscape Services, which provides landscape maintenance for commercial and residential properties. As a result of the job training and current work history, over 150 men from Bellflower and the surrounding area have graduated from the program and found steady, full-time employment, allowing them to support themselves and their families! GSI is a program of Kingdom Causes Bellflower (KCB), a non-profit community development corporation based in Bellflower, CA. Every GSI worker receives specialized training, including resume assistance, interview skills, landscape technical training, and on-going case management from our staff. Our goal is that every participant leaves with the skills needed to work their way out of poverty and earn a living wage. Want to invest in the lives of one of our participants? Become a GSI Mentor today! Kingdom Causes Bellflower's expert case management staff provide on-going training and support for volunteer mentors. Mentors are matched with a participant and meet on a bi-weekly or monthly basis to talk about life. Stop by our office to fill out an application or call us at 562-804-2189 to learn more! How can GSI support you? GSI offers family strengthening and employment training, in addition to paid on-the-job training opportunities. What's the best way for us to get in touch with you?